A 401(k) Plan allows employees to contribute a portion of their own incomes toward their retirement. The employee contributions, not to exceed the limits below, reduce a participant's pay before income taxes, so that pre-tax dollars are invested. Employers may offer to match a certain percentage of the employees' contribution, increasing participation in the plan. For more 401(k) information. * If you are 50 or older is determined on the last day of the Plan's accounting year. If you know you'll be 50 by then, you may take advantage of the new limits now. These increased limits are known as "catch up" limits. Deferrals made under these increased limits are generally disregarded when applying the various compliance tests. 401(k) Plans are subject to special Non-Discrimination rules. These are some things Employers should know before starting a Plan. A new planning opportunity opened up with the passage of EGTRRA. The limit on contributions to Profit-Sharing Plans, of which 401(k)s are a subset, is 25% of eligible employees' compensation. EGTRRA provides that 401(k) deferrals are not counted against the 25% of pay limit. If you're a one person company, you may consider adopting what some are calling a "Uni-K". (I don't know if this is a Trademark) It is simply a one person 401(k) Plan. 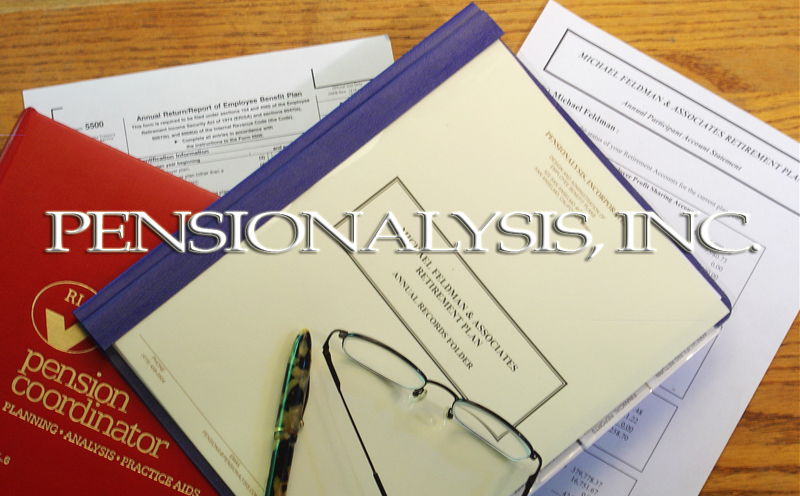 Copyright © 2006 Pensionalysis, Inc. All Rights Reserved.